When you come to a crossroads in a relationship, before you go all out and simply call it a day, it’s worth asking yourself a few hard truths to understand if there’s a chance that it might work out after all. The following are questions that you should think hard and deep about. Once you have the answers to these, you’ll be in a far better place to decide if it’s worth saving or not. Do you have fun together? It’s a human need to have fun. And if your partner is a person that you have enjoyable times with, then this is a huge plus point in a relationship. Do you have some common interests? A happy relationship needs at least a few things that you can enjoy doing with each other. Of course, you don’t need to do absolutely everything together. In fact, having a couple of hobbies or interests that are uniquely ‘yours’ can actively improve the strength of your bonds. For a relationship to thrive, you have to trust each other. Infidelity, lies, and secrets are like little worms that burrow into that trust, and can be difficult to get over should they happen. That’s not to say that a relationship can’t survive following an indiscretion, but re-building trust is a tricky thing to do. If you trust your partner, then that is a huge positive in whether or not your relationship is worth saving. Communication is vital in any relationship. Simple things like talking about your day at work, or saying when something is bothering you rather than stewing in silence are key to communicating. In many cases, the more familiar the two of you become, the less you start to share. This could be because you just ‘expect them to know’, or perhaps you don’t want to burden your partner. Either way, this is harmful to the act of communication. No matter how well you know each other, making the effort to talk about the day to day stuff is crucial. If the two of you still speak to each other, not only about what’s happened in your day, but also about your dreams, hopes, and aspirations, then this is definitely a sign that your relationship is still on the right track. Do you put across a false persona? Feeling comfortable enough with your partner that you can truly be yourself is a great asset. Pretending to be someone you’re not is harmful not only to the relationship but to you as an individual. If you’re relaxed enough that you can say and do whatever you want to in front of your partner means you’re in a good place. Are your core values similar? Once again, this is a point that doesn’t have to mean that you agree on everything. But in successful relationships, according to dating website, eHarmony, both parties tend to share the same beliefs and values. Thinking along the same lines when it comes to religion, politics, education etc. is not absolutely necessary, but if you’re polar opposites, this can cause problems between the two of you. Does he or she still get your heart racing? OK, so all relationships mature and it’s impossible to recreate that ‘can’t keep your hands off each other’ feeling that accompanies the beginning of a relationship. But when you think of your partner, or you have a cheeky kiss and cuddle, if you still get butterflies in your belly then this is definitely a sign that all is good. You still prefer being with them than being without them. If you can’t wait to get home to your partner, this is a great sign. However, if you prefer to spend time apart, or with other people, this could be a red flag that things aren’t quite so good. Of course, we all need a little space or ‘me’ time. 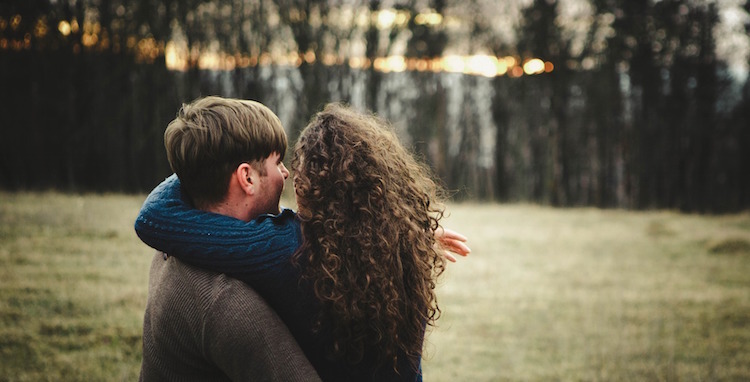 But as long as this isn’t far outweighing the amount of time you want to spend with your partner, then it’s actually a sign of healthy relationship – meaning the two of you are together, but still individuals in your own right. You have your own hopes and dreams. Does your partner support you in these? Or if you’re going through a tough time, is he or she there as ‘your rock’, or do you feel like you’re going through it alone? If your partner is there for you, offering a helping hand/supportive words/shoulder to cry on (delete as necessary), and is happy for you when you succeed in something, then yes, this is yet another sign that this is a good relationship to be in. Is your partner as invested in the relationship as you are? No matter how hard you try, you cannot save a relationship on your own. It takes two people to make the effort for a healthy partnership. If you want the relationship to work but the other person doesn’t, it matters not a jot how hard you try, because it’s doomed to failure. If this is the case, the best thing you can do is accept it, and move on. Sure, it’s upsetting (devastating, in many cases). But the sooner you come to terms with it, the sooner you can grieve and then begin to move forward. In such a case, looking after your own well-being is the most important thing, no matter how hard it might be to do.